I saw something the other day that struck me straight into my soul. A simple little phrase, a pick-you-up that should be viewed only as something sweet to remind you to live well. I have tried my hardest every day of my thirty years to not be a person who wears their heart on their sleeve. As a businesswoman and as a friend, I always felt that it was, at most times, best to hide whatever heartache you may be feeling, to conceal anger, immense joy, to come off as strong and steely, unmoved in regards to pain, severe happiness. I was never able to succeed. After my grandmother passed, I found I had little control over when I openly wept. For years after losing her, I would often be reminded of something small, like dancing the Charleston while making Christmas candy, or re-discover something of hers, like the funky green linoleum buried under a new kitchen floor in her home, and find myself facedown on the bed, still mourning the loss. I still ache from missing her, and feel that in those times I feel like half of me is missing, it’s perfectly acceptable to weep. It’s the times that my emotions are the opposite of mournful, however, that I find myself completely clueless as to why there are tears rolling down my face. 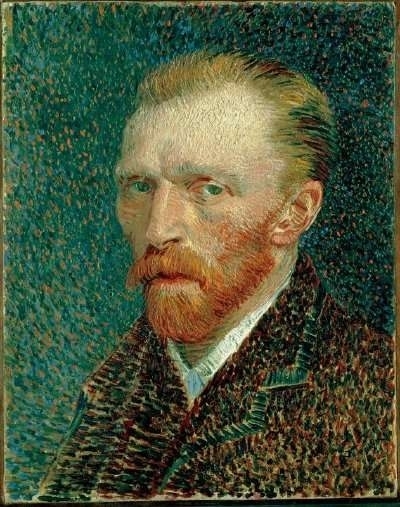 The opening note of any sort of musical production- The ballet, Wicked, any sort of opera or theatrical production- most embarrassingly, at the the Art Institute of Chicago, staring into the eyes of Van Gogh’s Self Portrait, where I stood unmoved for several minutes. It happens when I watch Sister Act and hear the choir, when I make Italian Creme Cake every Christmas. It’s during those good times, while making good memories, laughing, that I feel like I’m almost losing my grip on usual emotion because of the tears. But then I saw this little quote. 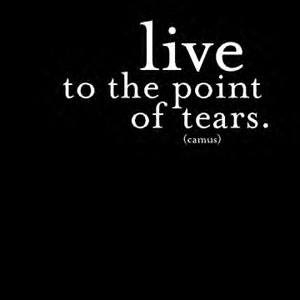 “Live to the point of tears.” And suddenly, I feel like I may be normal. Suddenly, I feel like I’m not going out of my mind for feeling overwhelmed with emotion, for having been, for thirty years. Suddenly, I feel like I’m a little bit free, heart blazing on my sleeve, living. To the point of tears.